Συναντήστε το μέλλον και ξεπεράστε τα εμπόδια. Η ομάδα της Horizone με το γνωστικό της υπόβαθρο, την πολυετή εμπειρία στο κλάδο και τη συνεχή εκπαίδευση και ενημέρωση, παρέχει σε επαγγελματίες (ξενοδόχους) και σε ιδιώτες (ιδιοκτήτες ακινήτων) μία ευρεία γκάμα άρτιων υπηρεσιών βασισμένων στις ανάγκες, στις προσδοκίες αλλά και στις απαιτήσεις της αγοράς. Η ορθή εκτίμηση καταστάσεων, η οξεία αντίληψη και η οργανωσιακή αφοσίωση αποτελούν βασικά προαπαιτούμενα στο χαρτοφυλάκιο της Horizone, καθώς παίζουν καθοριστικό ρόλο στην επίτευξη των στόχων που τίθενται. Η σωστή εφαρμογή και παρακολούθηση των πολιτικών που επιλέχθηκαν σε συνεννόηση με τον εκάστοτε επιχειρηματία αξιολογούνται συνεχώς, με κύριο στόχο τη διαρκή εξέλιξη των παρεχόμενων υπηρεσιών του καταλύματος και την επίτευξη αλλά και υπέρβαση των προσδοκώμενων αποτελεσμάτων. Με μεθοδικότητα και σωστή διαχείριση, αναλαμβάνουμε τη σύνδεση του καταλύματός σας στο παγκόσμιο δίκτυο οργανωμένου τουρισμού, με τη δημιουργία συμβολαίων με τους κατάλληλους ανά περίπτωση τουριστικούς πράκτορες και τα κατάλληλα τουριστικά γραφεία. Η εταιρεία μας, μελετώντας τις τάσεις της εποχής, αναλαμβάνει την διαχείριση και την ανάπτυξη του δικτύου των Online Travel Agents με στόχο την μέγιστη προβολή της επιχείρησης αλλά και την εναρμόνιση της με τις τρέχουσες εξελίξεις στον κλάδο. Η ομάδα της Horizone αναλαμβάνει την πλήρη διαχείριση και κατανομή των κρατήσεων του ξενοδοχείου ή του καταλύματός σας, διαμορφώνοντας τη διαθεσιμότητα του προς το κοινό (ταξιδιωτικούς πράκτορες ή/και μεμονωμένους ταξιδιώτες). Το δικό σας όραμα για την επιχείρησή σας, γίνεται η δική μας αποστολή. Η Horizone αναλαμβάνει τη διαμόρφωση και υλοποίηση της στρατηγικής marketing για την καλύτερη δυνατή προβολή του καταλύματος, με στόχο τη μεγιστοποίηση των εσόδων και της πληρότητας του. Με έμφαση στη λεπτομέρεια, αναλύουμε το ανταγωνιστικό περιβάλλον και τις προοπτικές του καταλύματος και καταθέτουμε προτάσεις για την ανάπτυξή του. 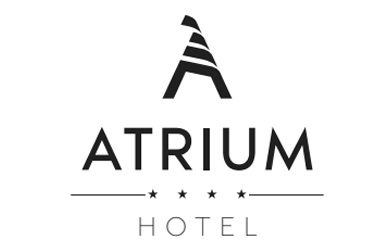 Welcome to Atrium Hotel...Live the 4* Star Resort Experience! UNIQUE DESIGN IN 27 LUXURY SUITES! 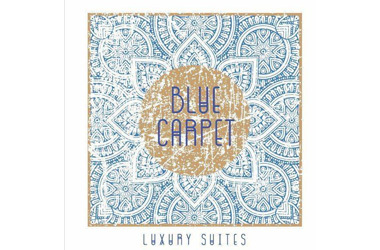 The hotel Blue Carpet Suites, in Peukochori, at the first “leg” of Chalkidiki, constitutes the ideal choice for dreamy vocations right next to the relaxing deep blue sea. Our luxury suites, stand out for their unique style and their careful design. Their design and their benefits aim to provide to your stay the ultimate relaxation. Try the high-quality services of our hotel, sense the ultimate gastronomic experience and taste the most exotic cocktails, in a magical seaside environment. Opening the door of your personal retreat, you will instantly feel the touch of calmness and luxury. 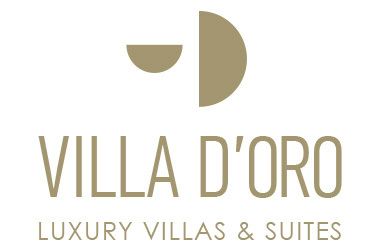 In the rooms of Villa d’oro we created a unique environment of aesthetic harmony, knowing that style is a way of life for you. Cozy, functional spaces, high quality modern furnishing, decoration of unparalleled elegance, state-of-the-art appliances. Furthermore, each villa and suite is positioned so as to offer the privacy that is so essential to you. More specifically, our complex is developed in four buildings located in a privately – owned land. We have created villas and suites with spacious interiors, where luxury meets the Aegean minimalism, resulting an aesthetically pleasant environment. You will find us in a seaside settlement, ALYKES in a hill full of olive trees suitable for scenic, refreshing, relaxing, unique vacation with your family! We offer 28 independent studios fully equipped with internet (wifi) and an independent parking space (one room flat & two rooms flat) with wonderful view (full of green round area, endless blue all over, magical moonlights, wonderful sunsets, the beauty of mountain Athos right in front your feet, surrounded by the bays of Alykes and Kalopigado). At one of the most beautiful locations in Possidi of Kassandra, Halkidiki, the Aegaiopelagitika area, we have created a special environment with 4 luxurious villas with limitless view, our Sunset Villas. 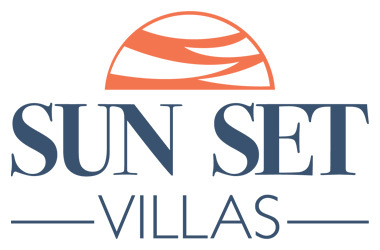 The Sunset Villas complex has 4 fully equipped and recently renovated villas that can host up to 9 persons each. The villas are fully harmonized with the natural beauty-environment of the area while being only 30 meters away from a multiple times blue flag awarded beach. 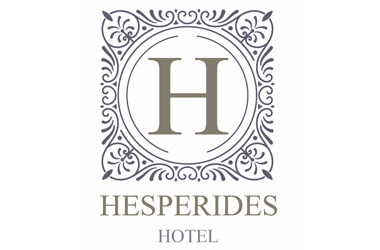 Located in Pefkohori, Halkidiki just next to the most popular beaches of Kassandra Peninsula. We offer self catering accommodation, supported with a la' carte breakfast options. Our 24 rooms consist a small kitchenette. Cookware amenities provided upon request, for your flexibility. Enjoy authentic Greek Hospitality, and relax by the pool mixed with fancy refreshments! 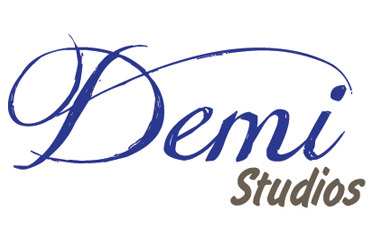 We are looking forward to provide you a great experience. W Villas is a luxurious and modern beachfront hideaway, right outside the cosmopolitan center of Pefkochori. Our exclusive collection of 10 Villas, offers superior accommodation within an ideal environment for genuine recreation: lush gardens and crystal clear sea water. 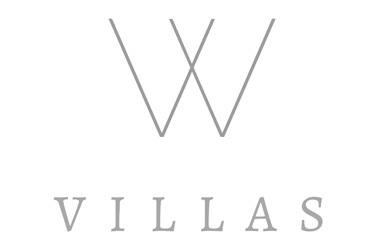 In W Villas, our primary goal is to offer to our guests the supreme quality and make them feel like home so that they can genuinely enjoy their vacation, the amazing natural beauty of Halkidiki and Greek Hospitality. 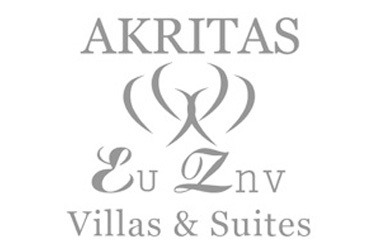 Akritas Ef Zin Villas & Suites is a complex designed to serve those who desire carefree holidays in a well-tended, hospitable environment. The location is an idyllic spot on the verdant peninsula, with easy access to enchanting Cassandra beaches and just 3 km from the Agia Paraskevi Spa. Surrounded by lush vegetation, languishing under plane and pine canopies, the complex welcomes visitors who wish to escape every-day routine and enter a world of relaxation and pleasure. 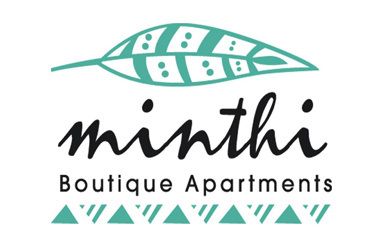 Minthi Boutique Apartments is located just 250 meters from the beach of Chanioti and 150 meters from the center of the village. The apartments are equipped with air conditioning, unique modern design and fully furnished veranda. In a very close distance there is a variety of restaurants, cafe's and supermarkets. The apartments are equipped with Coco - Mat mattresses, connection to a telephone center, laptop size safety box, fully equipped kitchen with fridge and cooking hobs.Other amenities: Hairdryer, DVD player, CD player, large beds (>2 meters) , slippers, bathrobes and personal care products electric kettle, coffee maker, outdoor furniture, outdoor dining room, clothes dryer. 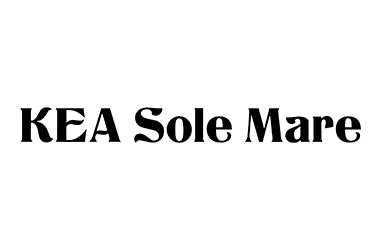 KEA Sole Mare, built with love and passion, is located 7 kilometers from Coresia, the port of Kea (Tzia), 3 km from Otzia beach and 5.5 km from the unique beach of Spathi. With Cycladic colors and the hospitality that characterizes the people of the island we are waiting for you to enjoy the unique beauties of the area, and the scenery created by the architecture of the island with the cobblestone alleys, its beaches and the traditional greek cousin. "KEA Sole Mare" consists of maisonettes of 80 square meters, with 2 or 3 bedrooms, living room, kitchen, wc and bath, ideal for families, couples and groups. Casa Luxury Suites ” is a brand new hospitality concept in Halkidiki Greece. It comprises a complex of 6 luxurious suites in Xenia area, close to the beach on a beautiful landscape, with private pool. In combination with a concierge (upon request) & personalized service we are guaranteed to deliver a unique holiday experience. The suites are ideal for groups of friends, couples or families, looking for exclusivity & privacy. “Casa Luxury Suites” offers deluxe and standard suites with spacious living rooms, fully equipped kitchens, a large variety of amenities, cable channels and free wifi. All the suites have balconies and / or terraces where you can relax & enjoy the beautiful views of the garden, forest, sea and pool. Enjoy the Greek sea, relax under the sun and create unforgettable memories with your family or friends. Polyastron Place hotel is located on the first peninsula of Halkidiki, in Kassandra 64 km (approximately 1 hour driving) from SKG airport and 80 km from the center of the second largest city of Greece Thessaloniki. In an all green place with huge trees that cast their shadow upon the clear waters of the Aegean. With beaches that deservedly hold for years the title of the cleanest beaches. A place between the forest and the sea that accommodates its guests. Calmness, serenity and privacy characterizes your stay in our accommodations. A private place of 12 acres protected from the noise and cosmopolitan traffic. But it does not deprive entertainment from the customer who can enjoy his drink, food, dancing and having fun just 10 minutes away. But knowing that the ultimate relaxation awaits him in Polyastron. Συζητάμε μαζί σας τις ανάγκες, τις προσδοκίες και τους στόχους σας. Ερευνούμε τα δεδομένα και τις δυνατότητες σας και αναλύουμε τον ανταγωνισμό. Σχεδιάζουμε και προτείνουμε στρατηγικό πλάνο ανάπτυξης στα μέτρα σας. Εφαρμόζουμε το πλάνο ανάπτυξης προσαρμοσμένο στις ανάγκες σας και στις απαιτήσεις της αγοράς. Παρακολουθούμε συνεχώς την εξέλιξη του πλάνου και εάν απαιτείται προβαίνουμε σε διορθωτικές κινήσεις. Εφαρμόζυομε το πλάνο ανάπτυξης προσαρμοσμένο στις ανάγκες σας και στις απαιτήσεις της αγοράς. Η Horizone έχοντας ως μότο την παγκόσμια σκέψη, αλλά την τοπική δράση, εστιάζει τις δραστηριότητες της, στην παροχή υπηρεσιών υψηλών προδιαγραφών, στον ευμετάβλητο και διαρκώς αναπτυσσόμενο κλάδο της φιλοξενίας. © Horizone 2017. All Rights Reserved.